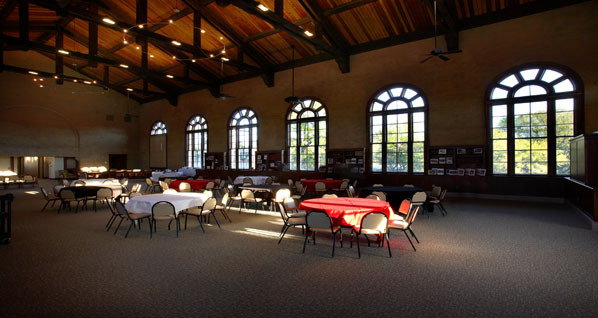 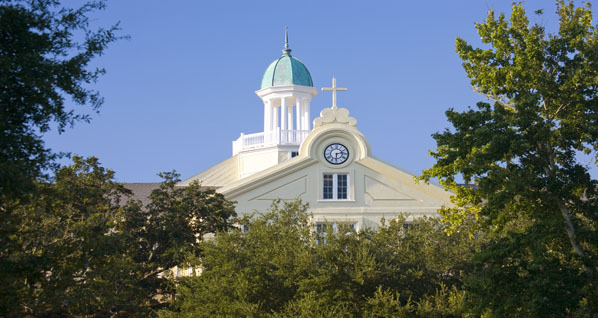 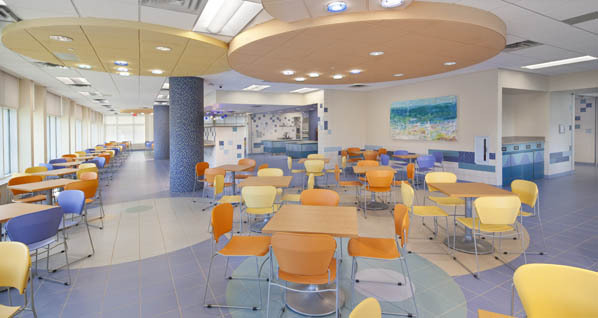 TAG provided interior design, theme design, tree house design, gift shop design, courtyard feature design, and art selection for the 195,000-square-foot tower addition. 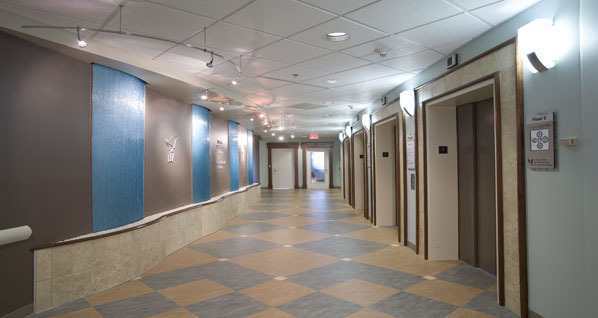 The project continues the nautical theme of the hospital, originally designed by TAG for the hospital. 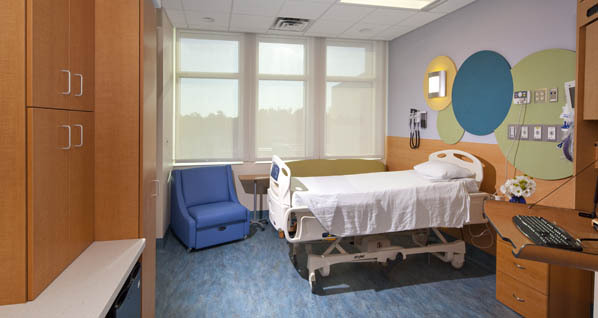 The interior design focuses on pleasant distraction from hospital surroundings to help enhance patient and visitor experiences. 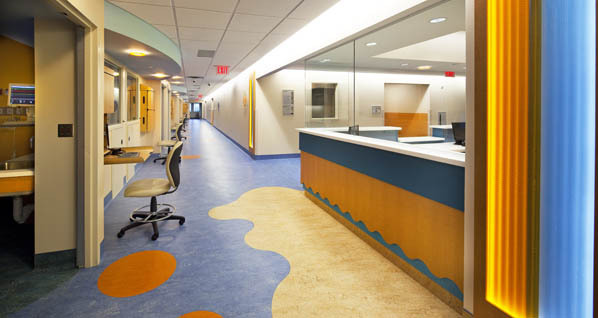 Abstract aquatic design elements tie the existing hospital to its new tower with bubbles, waves and color. 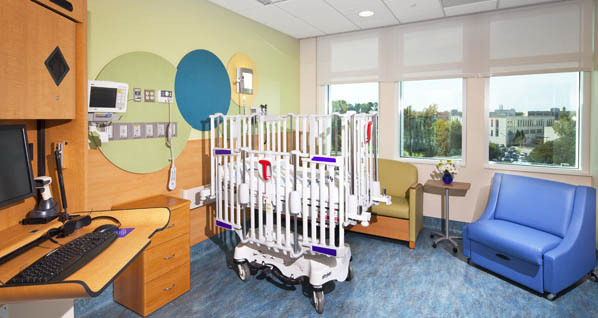 Playful elements are emphasized for pediatrics, yet kept in abstract form for all to enjoy. 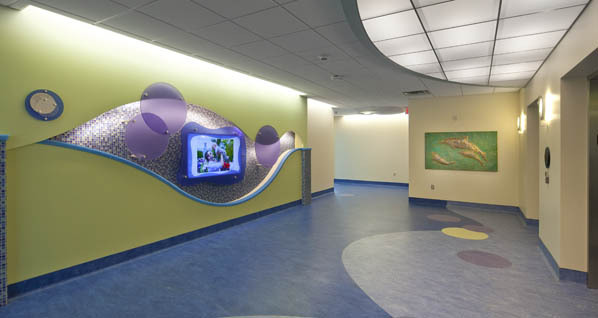 TAG utilized many local artists and craftsmen for the art as well as installations of various portholes with undersea images for donor opportunities throughout the hospital.